The Original Wheelgirl: My First Card on my Blog! I've made quite a few cards over the past few months and posted them in my gallery on Splitcoast, but this is the first card I've posted on my blog! I started this blog mostly because I've been visiting other people's blogs who post regularly on Splitcoast, and wanted one of my own. I don't know why I haven't got around to posting a card on my own blog, probably because I haven't been stamping much lately. 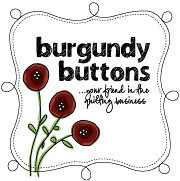 But after seeing blogs like Stampin' Mama, Taylored Expressions, Paper Trufflez, and Prairie Paper and Ink, I've finally decided to jump in. I am NO where near as talented or creative as these ladies, but they give me the inspiration and the motivation to at least do what I can. I learn a lot from their sites. 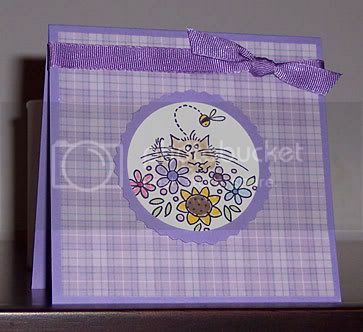 I fell in love with Fluffles the Cat from Stampendous, after seeing him pop up on the gallery at Splitcoast. I am a true cat lover, and this little guy is ADORABLE! I went nuts and bought this stamp along with about nine others, and hope to make more cards that feature him. I like this one the best, because I also like bees. So there it is, my first blog card. Simple yes, but I like it! GO FLUFFLES GO! Nice Card Cindy! I just love Fluffles. I'm from Central Florida too, but no engineer :) TFS your blog.